SALE $199/N 4/21-5/4 Ocean Front &Free Beach SRVC! Gulf Front! Panoramic Views! 5 stars! Would definitely stay here again and would recommend anyone staying here! Owners were very friendly! We enjoyed waking up to a beautiful view. Great for multiple families. Thanks for taking the time to give us a 5 star review. We look forward to having you return. All the best! Property had a great view and the rooms were ok. Rooms need to be kept a bit better. Beds were uncomfortable. They felt lumpy and the sofa bed was horrible. They need to replace the mattress on it. I am so sorry to hear that the sofa bed was not comfortable and that you were dissatisfied. We take great pride in our properties and are always receptive to feedback on them. If you had let us know, we would have certainly done what we could to make you comfortable. We are very hands on and communicate with our guests throughout the process. We are always available to assist with any issues in a swift way. I love the property and the view is awesome. Marsha was very helpful! Would definitely book this property again. Great view! Property owner was awesome! Property has great view of pool and water. Owner went out of her way to make sure we were comfortable. Highly recommend! 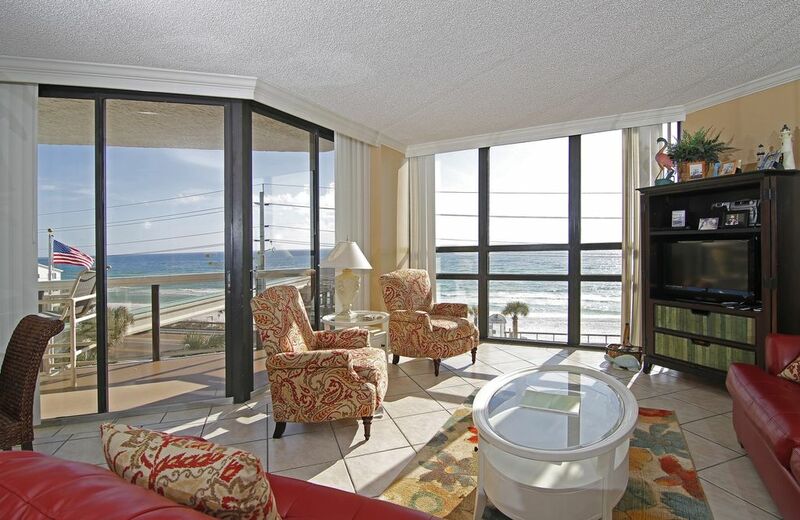 This condo was very spacious and perfectly situated so we all could have a beautiful view of the beach. My sister and I stayed on the beach everyday from sunrise to sunset. I would highly recommend this Condo. I will reserve if dates are available. Loved Miramar Beach!